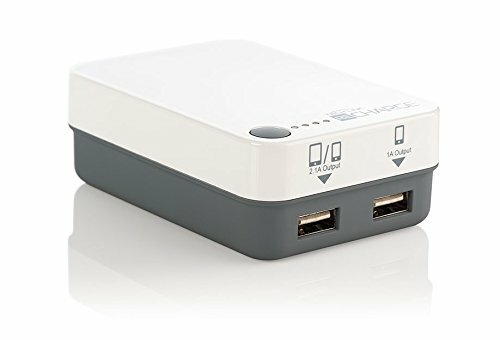 The Techlink Recharge 6000 Power + Universal Wall Charger lets you charge up to two USB-powered devices, such as your iPad, iPhone or iPod, at the same time, wherever you may be. Featuring US, UK and EU power adapters, the unit can be used just about anywhere in the world. Never fuss over power adapters again, thanks to the UK, EU and US compatibility of the Techlink Recharge 600 Power + Universal Wall Charger. The charger’s built-in Li-Polymer battery also lets you extend the battery life of your devices when you’re away from a power source, providing multiple recharge cycles for your iPhone, iPad, iPod and other USB-powered devices.